The column, " One Weird Trick To Keep Female Employees From Quitting ," highlighted a psychological effect of wage disparities: They’re a real morale killer. Friedman cited a new survey of women, ages 22 to 35, who graduated from college within the last 10 years. When researchers asked why they’d left a job, respondents didn’t support the old "It's time to focus on my family" narrative. The No. 1 response from millennial women: "I have found a job that pays more elsewhere." In other words, they were frustrated with a lack of money and promotions. Fresh-out-of-college workers — those who intuitively know that today's women outpace men in college enrollment and degree attainment — might respond, “Well, duh.” That’s because the phenomenon Friedman describes hasn’t yet quite hit them. In 2012, among workers ages 25 to 34, women’s hourly earnings were 93 percent of men's, according to the Pew Research Center . The gender wage gap cracks open with time, however. The Census Bureau calculates the median woman in the United States makes 79 cents for every dollar paid to the median man. This statistic has held steady since the 1990s, with some economists and politicians interpreting it as a matter of choice. But in a January study, Cornell economists Francine Blau and Lawrence Kahn examined national data that included labor market experience and concluded that only half of America's wage gap can be explained by career decisions. And loosely explained, at that. Across industries, employers don’t pay and promote women on par with men. 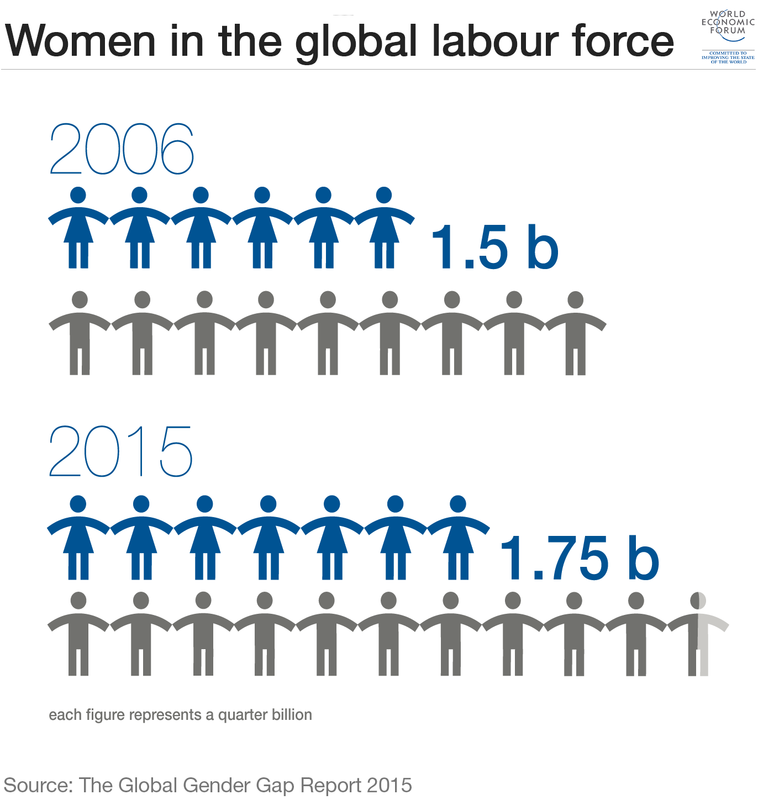 And when more women enter a field, strangely enough, the average wages tend to shrink. Paula England, a sociology professor at New York University, analyzed census data from 1950 to 2000 and found that, when more women entered occupations, the jobs started paying less — even after controlling for education, experience, skills, race and region. Blau and Kahn present a similar theory: A third of the wage gap, they wrote, is “unexplained.” The researchers referenced a previous study that suggested employers let bias creep into their hiring and promotion decisions. Which brings us to the promotion gap. Women hold just more than half of all professional-level jobs, according to the Bureau of Labor Statistics . But they’re just 14.6 percent of executive officers, 8.1 percent of top earners and 4.6 percent of Fortune 500 CEOs. Other research show that both genders are strongly committed to work and family. Consider a study of 25,000 Harvard Business School graduates. The men and women displayed similar levels of drive early in their careers and increasingly prioritized their home lives as they aged. But the women ranked “opportunities for career growth and development” as slightly more important than men did — and less than half were satisfied by the state of their careers.